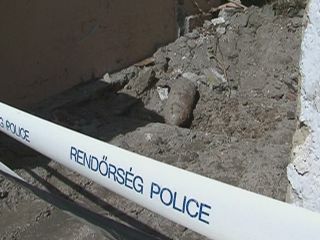 Today while doing a construction project on a garage in Eger, they found a 250 kg bomb from World War 2. The bomb was apparently dropped by an airplane but never detonated. It must have been covered up by dirt and was undetected for years, during which time someone built a garage over where the live bomb rested and parked a car on top of it every day for the past 66 years. Because of the bomb, they evacuated the entire downtown. Happens to be that our church is downtown, and was included in the evacuation zone. We have Bible study on Wednesday nights, and what's more is that tonight we had one of our "Vision Meetings" scheduled, in which we talk about the vision of the church and discuss the church's various ministries. 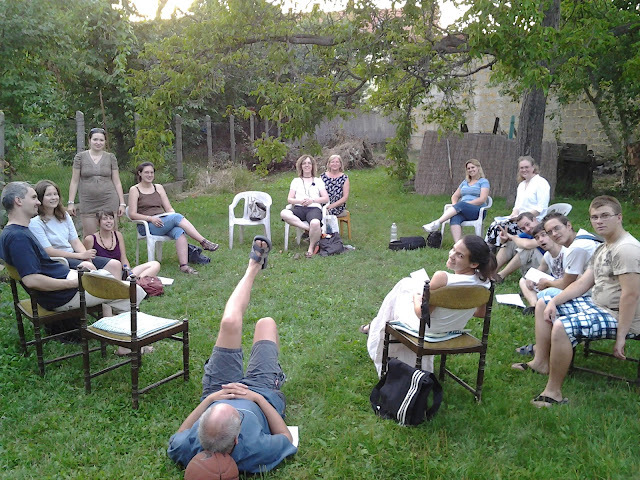 Because the church was inside the evacuation zone, those of us who came to church found each other, and after waiting for a while for them to let us back into the city center, we decided to go to our house and have the Bible study in our garden. Turned out that our neighbor was entertaining guests in the garden, so we tried the basketball court at the end of our street - which also turned out to be full. When we got to the basketball court, I realized that we were right across the street from the house of a family from our church, so I went over and asked if we could meet in their garden. They are wonderfully hospitable people, and they let us come and have our meeting in their yard. In the end, it turned out to be much nicer than sitting cramped inside the four walls of the church building. Life in Eger is never dull! i remember someone else writing a story about a bomb in their city a few years ago. Your story is nice, but their story was funnnnnyyyyyyy! !